If you are visiting this site, I assume it’s because you love music; especially rock and metal. Our favorite artists give us lots of new content and a lot of depth in their materials. And it’s not just the music that influences us. Sometimes a musician’s perseverance shows us we should indeed keep working hard at whatever it is that’s been waiting for our attention. This is why we love them, respect them, and follow their latest releases with a passion that is hard to come by anywhere else. But we sometimes forget that for professional musicians, the word music comes with another one attached to it: business. Recently, Avenged Sevenfold has found itself in the middle of a lawsuit that could change the way record companies work with artists. We are in uncharted waters, so to speak, and this could have implications for you if you are, or plan to be, a professional musician. I’ve talked at length about Avenged Sevenfold before. They are one of the biggest heavy metal bands around. Whether you like them or not, you cannot deny that they have a huge following and they are one of the very few metal bands today that can fill stadiums around the world. I recently reviewed their latest album, The Stage, and I like it a lot. These guys are trying to push genre boundaries and try something new with each release. I don’t like everything they have produced, but I’ve always had an admiration for their courage to try something new despite knowing that metal fans can sometimes be highly opinionated. This lawsuit I mentioned in the opening paragraph was initiated by Warner Bros. Records, a company the band signed with back in 2004. After releasing two albums under a different label, their first album with Warner Bros. was City of Evil (2004). 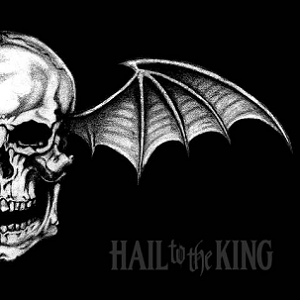 After that, A7X released three other albums under the same label (Avenged Sevenfold, Nightmare, Hail to the King). But before the band released their new album, which became The Stage (2016), they decided to invoke the “seven-year rule” and announced that they were leaving the label. The band claimed that the label had gone through multiple regime changes and because of that high turnover, they weren’t able to develop a constructive relationship with the band. I will get to what the “seven-year rule” is and how it might be interpreted. But before that, let’s cover some of the events that unfolded right after Avenged Sevenfold announced they were leaving Warner Bros. Records. The label filed a lawsuit claiming the band had violated their contract. They also released a “greatest hits” record without the band’s knowledge or consent. The band, on the other hand, signed with Capitol Records, recorded The Stage and released it under their new label. They toured extensively, including a stint with Metallica, opening for them in North America. In one way, it looked like everything was “business as usual” but this lawsuit proves to be a much bigger deal than it initially seems. So, what is this “seven-year rule” and why is this lawsuit so important for everyone, not just for Avenged Sevenfold? What we are talking about is a part of California’s labor code; namely section 2855. There are a lot of resources about this, and I have shared some insightful links at the end of the article if you’d like to read more, but essentially this particular labor code aims to regulate the relationship between an employee (in our case, an artist) and a studio/company he or she is working with. It was originally signed into law in 1872 as Section 1980 of the California Civil Code, and stated that a contract could not be “enforced against the employee beyond the term of two years…”. And in 1931, California amended the law and made the term seven years instead of two, hence the “seven-year rule”. Finally, in 1937, the state repealed this civil code, and instead enacted Section 2855 of the Labor Code. It essentially stated the same thing but the language was streamlined. So, Avenged Sevenfold claimed that because they signed their contract in 2004, it had obviously been more than seven years. Therefore, they claimed, they should be free to go. However, as with many things in life, it wasn’t that easy. Why it isn’t easy and how we got here is interesting and important for artists. I will leave the details to legal experts, some of whom I referenced at the end, but I will summarize it for you. I thought it was so interesting that I spent a lot of hours just reading about this. 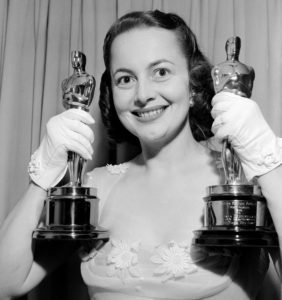 In 1943, a famous actress named Olivia De Havilland challenged Section 2855. She was under contract with Warner Bros., ironically the same company that is now in dispute with A7X. She had signed her contract in 1936, so after getting proposals for roles she wasn’t interested in, she walked away as it had been seven years. Warner Bros. didn’t see it that way. They argued that since she refused some roles that had been proposed, her contract was suspended during those times. They also argued that times of suspension should not have contributed to her seven years. The court sided with De Havilland. After all, the law didn’t explicitly state seven years of “actual service”, it just mentioned seven years. Thus, the court interpreted De Havilland’s case as seven calendar years. This had a major impact on artists. They were a lot freer thanks to Ms. De Havilland. This court decision of course affected record companies too and they certainly didn’t like it. They geared up for decades of lobbying to varying degrees of success. Now, to be fair, let’s evaluate the record industry’s point of view before we conclude our opinion. According to a 2002 study, close to when Avenged signed with Warner Bros., only 5% of musical acts were actually turning a profit. When you consider all the pre-production costs, as well as all the marketing costs and the fact that bands usually break out after a few albums, it was true that record companies were taking a lot of risks. So, if an artist walked away free after seven years, there was a lot of money a company would be losing, not to mention all those costs that never could be recuperated. I will talk a bit later about whether these arguments are still valid for 2017 – but for now, remember that a lot of the lobbying was done before technology became a key factor in how an artist released and distributed music. In 1987, there was yet another amendment to the law. Now, the record companies could seek damages for lost revenue if an artist took advantage of the seven-year rule without completing the number of albums stated in their contract. That was a huge win for the record industry because now they had a legal case for claiming “lost profits”. That was also the last time an amendment was made to this law, as far as I can tell. But we are still in muddy waters. Nothing is super clear when it comes to this law – if I learned something while doing research for this article, this is it! Now, let’s look at some of the complications here and then analyze why the Avenged Sevenfold case will impact the future of music business for everyone. First and foremost, the reason why this is bigger than just Avenged Sevenfold is because when this matter goes to trial in December, it will be the first time ever that this law is going to be tested before a judge and jury. Since the amendment of 1987, there have been lots of artists who threatened to sue, or who actually did sue; but all of those matters settled out of court. In other words, a lot of what is going to be covered has never been litigated before! Whatever decision comes out after what I presume will be a lengthy legal battle, it will have implications for everyone. We’ve realized this battle is bigger than just us. We’re fighting so that all musical artists have the same rights everyone else has. It’s not like we wanted to be here, but we are down for the fight. Second, from Warner Bros. Records’ perspective, they will have to prove that they did not recover certain costs and they are entitled to seek some damages. 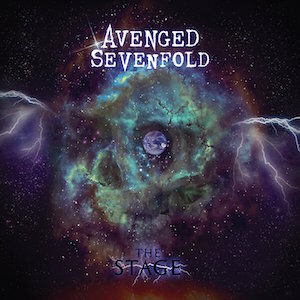 If we are talking about Avenged’s latest album, The Stage, the cost angle will probably be difficult to prove. The band produced and released the album with Capitol Records. So, as far as Warner Bros. was concerned, there were no pre-production costs and there were no marketing costs. Everything was undertaken by the band and Capitol. Furthermore, due to the emergence of streaming services and digital networks, the overall costs for record companies are much less now than they were before. Having said that, Warner can still claim lost revenue from the album they argue should have been theirs. As I mentioned in my review of the album, Avenged Sevenfold did not announce the release of the album, nor did they do any teasers like many bands do these days. One day the whole album was just there. The band said they did it that way to be unique, to do something new. But it was a risky move as it took longer for people to be aware of the album and all of these factors brought lower sales compared to the previous album, Hail to the King. But now, the band can claim there wasn’t that much money Warner would have made anyway. After all, the revenue wasn’t as high as anticipated. Some sites claim the band may have done this release tactic on purpose so the sales revenue wouldn’t be too high – but I personally don’t find that believable. I don’t see how a band would sabotage their own album like that. Third, as most reports on this issue have highlighted, this will be a rare look into the recording industry. If you are going to court and make certain cost and revenue claims, a lot of numbers will have to be disclosed. This industry has remained fairly private for a long time and we don’t really have open sources that can tell us how big record companies currently are. Like I said, this has never been litigated. But most importantly, everyone is asking a similar question: what is the role of record companies today? It isn’t 1987 anymore. So, how should the law be interpreted with today’s conditions? Should bands still be liable for all that cost when record companies are not going under as much cost as they did before? This is some serious business. According to Hollywood Reporter, the judge already allowed Warner Bros. to “assert claims from its worldwide affiliates in a decision that could double or triple the potential liability that Avenged Sevenfold is facing.” That should show you how seriously the label is taking the issue and how big the implications will be if the band loses. Furthermore, the label is also seeking to recover its attorney fees – a number that is reported at $1.5 million already. The reason why Warner Bros. is taking this lawsuit seriously isn’t just about Avenged Sevenfold. They have other big artists in their roster, including big acts like Green Day, Adam Lambert, Eric Clapton, Liam Gallagher and more. 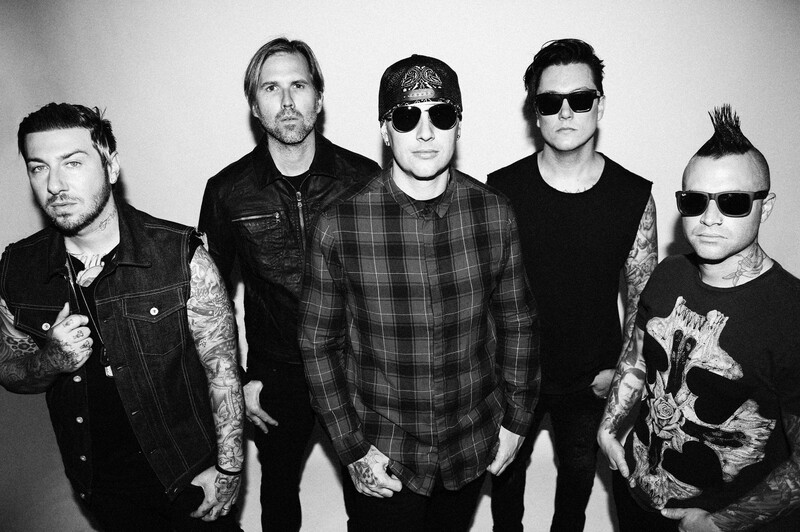 They don’t want all these artists to take a page out of Avenged’s book and leave, using the same seven-year rule. A decision in their favor would send the strongest warning sign. As for Avenged Sevenfold, there’s plenty of good arguments they can make and I can tell they’re ready for battle. If they win, all artists will benefit from that. The seven-year rule will be solidified in artists’ favor, and record companies will have to re-think how they approach contracts. If you are not happy about a high turnover in a record company’s management and you don’t believe you’re getting the same level of promotion other artists on the roster might be getting, should you still be locked for years and years since you can’t do one album every single year? That’s a good question to ask and A7X has plenty of arguments to make. I hope a lot of artists will support them as well. This isn’t just about one band – this is about the entire industry. Lots of artists left Lars Ulrich alone and avoided publicly supporting him in the Napster battle years ago. But time proved him right. I hope artists will be smarter this time around and stand together with a band that’s fighting everybody’s battle as much as their own. At this point, it’s difficult to tell what the decision will be. Because I sympathize with Avenged Sevenfold’s situation, I am hoping that the decision will be in their favor. But you can’t underestimate the recording industry, especially Warner Bros. which is one of the largest record companies out there. One thing, however, is certain regardless of the outcome: the future of the music industry will have to change. Make no mistake, artists will still need a record company if they want to become famous around the world. I don’t think you could get rid of them and still expect a certain level of fame or fortune. But the relationship they have with artists has to change. It already has been changing! I see it in lots of bands. Lots of artists now at least retain publishing rights of their own songs, preventing any company from doing an unwanted “greatest hits” record or any other stunt like that. That is incredibly smart. That way, at least you can minimize what a recording company can or should do for you. There’s still lots a company can offer, including promotional support and distribution, but the terms of contracts will have to be re-worked if artists and the recording industry want to re-establish a certain level of trust. After all, a rising tide lifts all boats. Let’s figure out how we move forward. Labels have every right to release Greatest Hits or other compilation records. They own the masters. It’s common when acts leave a label to put out a Greatest Hits. It’s their property. They paid for it. They can do with it what they want. The argument that Avenged Sevenfold, along with many others, is making isn’t about who gets to make greatest hits records. Of course, if someone has the legal right, they are going to do what they will with the masters, as Warner Bros. has done. That is the reason why more and more artists own the rights to masters of their songs and just work with a record company for distribution. And by the way, just because a company can do what it wants with the masters doesn’t mean it is ethical for them to do so – especially if they haven’t gotten the artist’s consent – but that’s a separate discussion and not a part of this article. This is more about what the rights of record companies should be in the future. Just because someone has the right today doesn’t automatically make the issue go away. There’s a reason why Warner Bros. is being challenged even though they are the ones that sued. Like I mentioned in the article, this is going to be a significant court hearing with many implications. The question to me is this: will the record companies continue to have as much power as they do now after this court hearing? I’m not so sure what the answer will be; but either way, the entire industry will be affected.